Bob Fisher from the Design Futures Council lists the top 14 characteristics of a future-ready practice. Successful future-ready firms are organised around a set of principles and a culture that are timeless, consistent and enduring. A clear foundation supports progress by preserving the firm’s core identity and providing a framework for navigating the complex decisions that accompany change. Many firms apply creativity to problems while accepting previously held beliefs, assumptions, current conditions and received wisdom. Such practices can cause firms to accept unnecessary or inaccurate parameters and constraints. Future-ready firms disregard restrictions on their imagination. To understand trends and develop scenarios, firms must collect and process a daunting amount and breadth of information, as well as consider a complex interplay of factors and events. Curiosity is the root of the drive to dig deeper, question assumptions and know more — the building blocks for creating rich and effective scenarios. Change can be challenging even for the most forward-thinking firms. Many mistakenly act as though change happens in fixed increments and they relax into habit patterns once periods of change are “over.” Future-ready firms embrace — and are fueled by — the mindset of continuous evolution and growth. Whether in global practice, research or innovation, firms can artificially limit their capabilities and practice based on assumptions about their scale. In order to have an outsized impact, firms must realise there are no structural limits on creative thinking. Paranoia and optimism can be good or bad, depending on degree. Future-ready firms stay alert to shifts that affect the organisation and are always on the lookout for new opportunities. They believe in possibilities — even audacious ones — while remaining practical and grounded. Challenges and setbacks are inevitable. The ability to recover quickly and adapt to change provides firms the freedom to fail, which allows for experimentation and innovation that puts them ahead of the competition. Firms must keep pace with accelerating rates of change in design and the marketplace. Jack Welsh said, “An organisation’s ability to learn, and to translate that learning into action rapidly, is the ultimate competitive advantage.” The ability to find faster solutions, seize opportunities and establish competitive advantages before your competitors is essential for strong market position and profits. Future-ready firms seek out the advantages that technology brings in speed, efficiency, impact and creativity. In a spirit of continuous innovation, they do not merely adopt existing technologies, but customise or create their own tools. The design and delivery process is changing fundamentally and comprehensively. Traditional stages, roles, relationships, positions of influence and value creation are all being disrupted, requiring greater collaboration with broader teams in a shorter period of time. Future-ready firms are building the processes, technologies and skills to turn the changes into advantages. As tools for gathering data become more powerful, so too will the demand for evidence-driven design decisions. 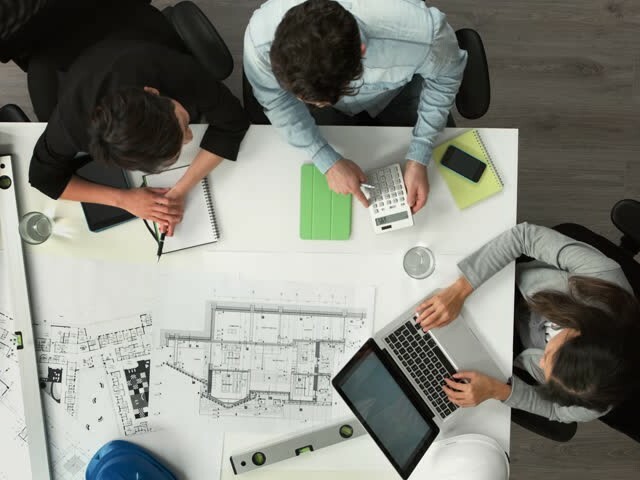 Owners will increasingly require evidence to back up claims about building performance and the benefits of design decisions on building occupants. Successful firms will fully integrate data with the empathy and judgement of designers into higher-performing, objectively measurable projects. The new environment for design will favour firms that find a mutually reinforcing relationship between business and design. In the future as today, great work will lead to regenerative profit, which will in turn fund the facilities, technologies, tools and talent to produce more great work. In the future, the risk profile for firms will continue to evolve as working and legal relationships change in the design and delivery process. Firms that are thoughtful and selective in choosing to accept risk can claim significant rewards. Future-ready firms are rarely reactive. They do not wait for a future that is defined by others to happen to them. Rather, they exercise bold leadership in creating their future.